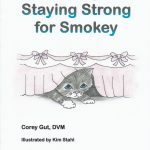 Dealing with the death of a pet can be the hardest thing many of us will ever do. The link below helps you with how you can say goodbye. Most people I know love their fur babies like children. 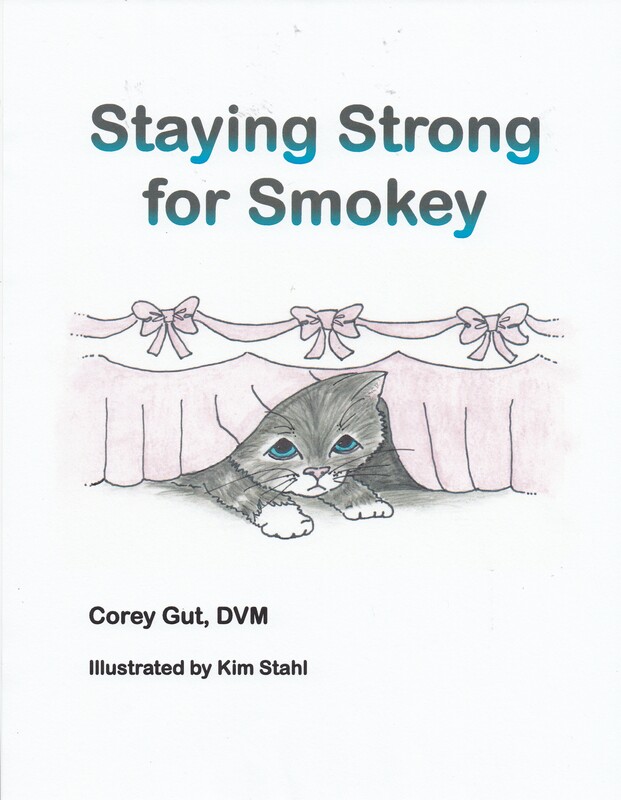 Not surprisingly, when that beloved cat or dog dies, it can be profoundly devastating. Unfortunately, it’s the nature of pet ownership to lose your beloved fluff ball. The average human will live eight decades, but a dog’s lifespan is much shorter. According to the American Kennel Club, dogs live for an average of 10 to 13 years, depending on the breed. That means that every human who welcomes a sweet pup into the family will have to eventually face the tricky proposition of losing a furry best friend. 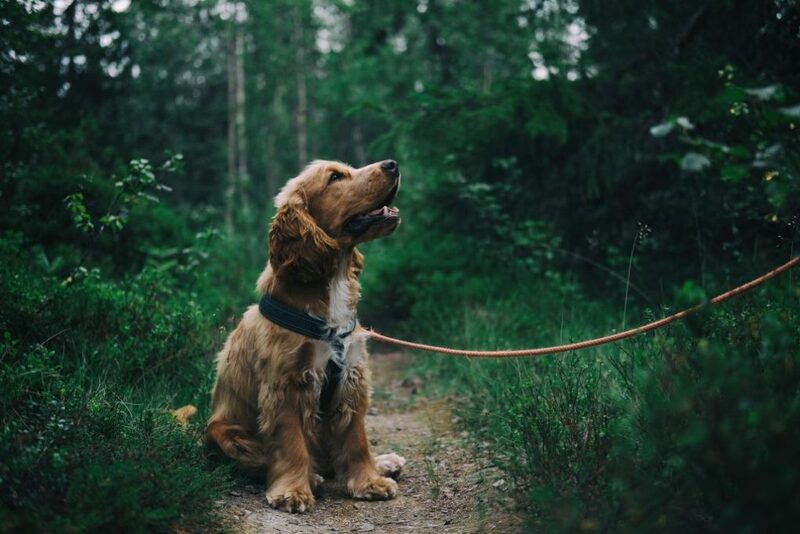 There are lots of beautiful ways to memorialize your dog after he crosses the rainbow bridge, but that isn’t necessarily comforting in the days immediately before and after a pooch passes on. In fact, it can be really hard to prepare for that moment. That’s why we put together a list of important things all pooch-owners should know for the day their beloved dog dies. You might be surprised by how hard you are hit by grief. It’s easy to think that you will be able to cope with the death of your pet, but people often discover that they are just as devastated by the loss of their dog as they would be by any death. Even though humans know intellectually that they’ll have to say goodbye to their beloved dogs eventually, it doesn’t make it any easier to face the reality. Guilt is a totally normal emotion to experience as you’re processing your loss and grief, but people are sometimes taken aback by how strongly they blame themselves. People worry that perhaps there was something more they could have done early, they worry that they made the wrong decision, or that they missed a sign that their pup was in pain or unwell. These worries are totally normal, but try not to let them take you over. At some point, you have to trust that you did everything you could for your sweet pup, and he loved you for it. During your dog’s lifetime, the veterinarian is just the person who gives your pup shots and diagnoses infections. After you pup dies, the veterinarian might become your best friend for a while. That’s because vets see this kind of loss every day, and they often know exactly how to support and comfort a grieving pet parent. Vets can also help you with details like figuring out how to lay your dog to rest; many vets offer cremation services and memorial boxes. After you lose your dog, you’ll probably spend a few days mourning before slowly starting to feel better. When that happens, it’s easy to think that the worst of your grief is behind you, though that often isn’t the case. Sometimes, grief will reemerge as fresh and painful as the day your dog died. Know that the grieving process is long and complex, and let it take its natural course. For many dog owners, the most difficult part of losing their pet actually comes before the pet passes on. Many owners find themselves in the painful position of choosing to end the dog’s life, and having him put to sleep. When you adopt a dog, you have to be prepared for the possibility of making this choice. 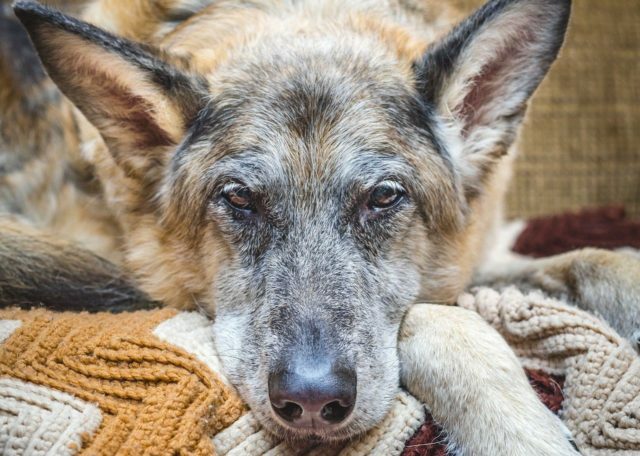 If your dog is elderly, in pain, and unable to comprehend what’s happening, it might be your responsibility to help him avoid unnecessary pain and suffering. After your dog passes away, your vet will usually offer to help with the remains, often by cremation. Before that happens, you might want to ask the vet to take your dog’s paw prints for you. Many vets are happy to help you through your goodbye by giving you one last memento of your beloved pup. Even as you move on, having his paw prints is a lovely way to remember a loyal and beloved friend. We don’t always have a choice in how our dogs pass on. If it’s an accident or completely unexpected, you might not be with your dog at the end. However, if you can choose to be with your dog, definitely do it, though it might be painful for you. What’s important is that your dog will feel loved and unafraid with you by his side holding his paw. Eventually, as the weeks and months pass, you’ll find yourself healing. You’ll never stop loving and missing your dog, but you’ll know that your pup is in a better place now. 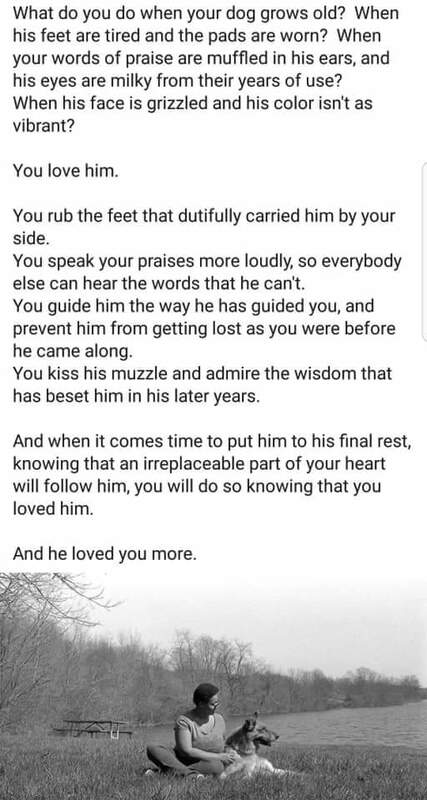 Most important of all, you will know that, while he was here with you, you gave him the best life ever. He loved you to pieces, and we bet he wouldn’t have traded one second of the life the two of you had together. More than 73 million U.S. households own a pet and altogether they spend $53 billion per year to care for them. More than half of that budget goes toward medical treatment, with money spent on supplies and OTC medications rising by more than 7% in 2012. But where do you draw the line between keeping Fido healthy and compromising your finances to give him a few more months of playtime? Emergency treatments can range from $1,500 to $4,000 for dogs, according to Frank, with cancer treatment sometimes costing twice as much or more. Sometimes, the decision to forego medical care has more to do with the emotional cost of watching a beloved pet go than the potential financial burden. “Recently I saw a woman who specifically said that her other cat passed way from cancer and she did everything including chemo and she said she did not want to go through that again,” Frank said. Unlike hospitals for humans, vets don’t typically have the same flexibility to work with pet owners who can’t afford treatments. Pet insurance can be handy, but it often comes with maximum coverage limits, steep deductibles, and pre-existing conditions clauses. But how does a pet owner decide whether to pay for treatment or let their pet go? There is no one-size-fit-all answer, but a Michigan State University research may have found a simple way to help pet owners through such difficult times. Iliopoulou, who owns a small menagerie of pets herself, set out in 2009 to create a “Quality of Life Survey for Canine Cancer Patients” that dog owners can use to look at medical treatment with an unbiased eye. Before each visit, Iliopoulou suggests dog owners complete the survey, which asks basic questions to help them track major quality of life indicators for canines — play behavior, signs of illness, and overall happiness. So far, the survey is applicable only to dogs, but Iliopoulou plans on continuing her research in order to create similar tools for a range of animals, like cats, birds, etc. 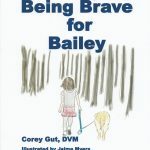 She provided him with hospice care, including pain management, and she had a going-away party for him before she had her veterinarian euthanize him in her home. End-of-life decisions for pets are difficult to think about, but there are options. Pets suffering from a terminal illness or a combination of age-related illnesses can be euthanized at a veterinary clinic or at home. Their remains can be cremated, or their bodies can be returned to owners for home burial. Owners who stay with their pets during the procedure can comfort the pet, but some find it too difficult and prefer that the vet does it without their presence. Clifford was diagnosed with osteosarcoma at the end of December. 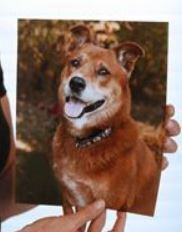 He was 9 years old when he was euthanized on Feb. 11, barely six weeks after the diagnosis. “I searched for resources to help us with end of life care and there was nothing I could find locally,” said the Holland resident. She put together “Resources For End of Life Care,” a guide that she plans to offer to clients at Canine Karma, the Holland dog-training facility she co-owns. 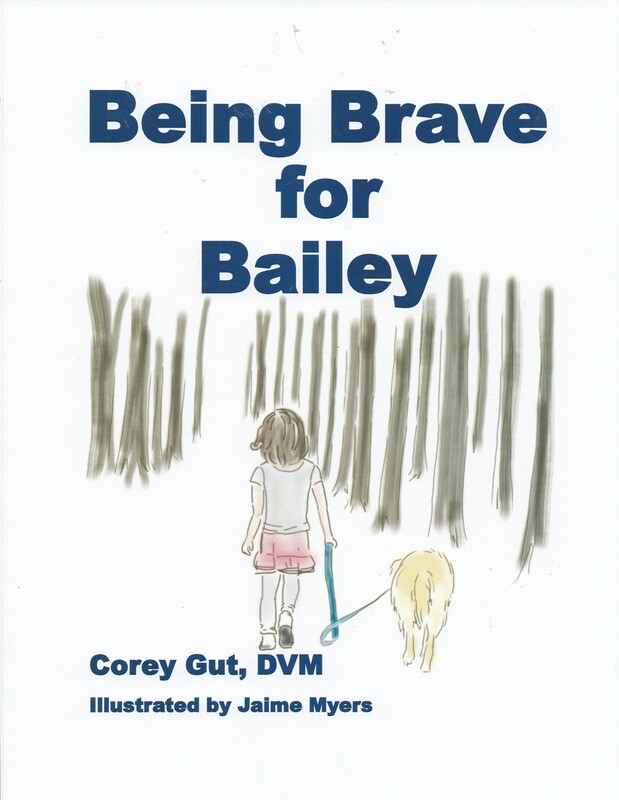 She hopes to find local veterinarians to offer the guide to clients. Dr. Savage gave Clifford a drug to relax him before administering the euthanasia drug. Ms. Ferner and Mr. Plewa comforted Clifford during the process, including singing to him. “Being his guardian and advocate and protector, he needed me to find the strength to allow him a peaceful passing,” Ms. Ferner said. During her work with terminally ill humans, Ms. Ferner developed the Integrative Medicine Program at Mercy Cancer Centers that provides massage, yoga, guided imagery, and relaxation techniques for cancer survivors and their families. Canine Karma has hired a licensed social worker and plans to offer grief counseling, support groups, and consultations for pet owners facing end-of-life decisions. “If we can do it for people, we can do it for dogs,” she said. When researching options for easing Clifford’s suffering, Ms. Ferner consulted with Dr. Alice Villalobos, a veterinarian who practices in Hermosa Beach, Calif., by phone. Dr. Villalobos is a pioneer in the field of cancer care for companion animals and a founding member of the Veterinary Cancer Society. She has developed a quality-of-life scale for cats and dogs to help owners decide when it is time to euthanize. Its intention is to end suffering and to do so in a peaceful, kind, and loving manner, Ms. Ferner said. “It becomes the final act of love,” she said. A quality-of-life scale may help everyone, especially those who are in denial about their pet’s illness, to face difficult issues, writes Dr. Villalobos in an article on her web site, pawspice.com. Caretakers can use the scale to ask themselves if they are able to provide enough help to maintain an ailing pet properly, she writes. “If we can create or restore a satisfactory level for our ailing companion animals, then we are justified in preserving the life of the ill pet during its steady decline toward death,” Dr. Villalobos writes. The scale is designed to provide an easy guideline for assessment of the pet so that family members can maintain a rewarding relationship and nurture the human-animal bond. Things to consider on the scale include hurt, hunger, hydration, hygiene, happiness, mobility, and more good days than bad. Adequate pain control and breathing ability are of top concern. If the pet can’t breathe properly, nothing else matters, according to the scale. When bad days outnumber the good, quality of life might be too compromised. When a healthy human-animal bond is no longer possible, the caregivers must be made aware that the end is near. The decision for euthanasia needs to be made if the pet is suffering, Dr. Villalobos writes.The complete scale for both dogs and cats can be found at: https://tinyurl.com/qualityoflifescale. Ms. Ferner said she hopes to pass on what she learned during Clifford’s end-of-life care and euthanasia. “I hope all of this heartache and research can help others,” she said. Contact Tanya Irwin at: tirwin@theblade.com, 419-724-6066, or on Twitter @TanyaIrwin. 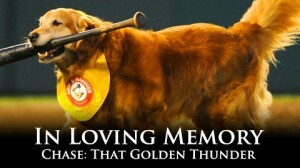 Chase the golden retriever entertained fans of the Trenton Thunder, a New York Yankees affiliate in New Jersey, for years before his death from lymphoma on Monday. The team and fans threw Chase a retirement and birthday party last week, and last month he was honored at Yankee Stadium. Chase is succeeded by one of his offspring, Derby, who’ll carry on the family tradition of retrieving bats, carrying water bottles to umpires and catching discs in the outfield. The team posted a tribute to Chase on its website. TRENTON, N.J. (AP) — He doggedly did his work, this pinstriped pooch who faithfully served minor leaguers of the New York Yankees while providing big league entertainment. Chase, the bat-retrieving golden retriever for the Double-A Trenton Thunder who made highlight reels all across baseball for a decade, has died at 13. “Chase was there a long time. He put a lot of smiles on people’s faces,” Yankees pitcher Joba Chamberlain, who played in Trenton, said Tuesday night. “You know it’s going to be sad, but his lineage is carried on. You know it’s something that people are going to miss, but it was fun to be around Chase,” he said. Chase lived just long enough to be thrown a retirement party by the Thunder last Friday night — featuring Chase bobbleheads, no less. The team said he died Monday. Chase had been diagnosed in February with a form of lymphoma and had arthritis. His bat-retrieving legacy will live on with his son Derby, who continues to be part of the Thunder’s home game entertainment. Another son, Ollie, performs with the New Hampshire Fisher Cats. Chase made his debut with the Thunder in 2002. He would trot out in the bottom of the first inning to the batter’s box to pick up bats with his mouth and bring them back to the dugout. He also carried a woven basket with bottles of chilled water to the umpires and entertained fans by running down flying discs in the outfield. At Friday’s celebration, which coincided with his birthday party, fans were encouraged to bring their dogs to the game. Last month, he was also honored on the field at Yankee Stadium. Chamberlain petted Chase before the game and infielder David Adams came over to greet his old friend. Adams recalled Chase retrieving his bat, doing it without leaving teeth marks in the wood. Dogs of all shapes and sizes were at Trenton’s game Friday night against Reading, sitting in the stands with their owners. As fans filed in, Chase lounged on the grass outside the Thunder’s dugout on the first-base side. A tribute to Chase’s career was shown on the video board. Chase was in position near the bench when Eduardo Nunez — who has since rejoined the Yankees — led off for Trenton in the bottom of the first inning. After the at-bat, Chase trotted out, picked up Nunez’s bat and returned to the dugout to a big cheer from the crowd.